Here we are with anther Cricket Quiz. So, how well do you know about IPL (Indian Premier League)? IPL had a huge fan following in Indian subcontinent mainly in India. 2019 edition of Indian Premier League will be played later this year. Before that let’s check your knowledge of Indian Premier League in this small quiz. Also read: Indian Premier League facts and stats. Rules of this Cricket Quiz are very simple. You have 10 questions with 4 options each. Only one option is correct for every question. Your screen will be moved to the next question directly once you choose your option. So, see how well do you know about IPL? Best of Luck! Who won first edition of IPL? Who was the runner-up in the first season of IPL? Who won 2018 edition of IPL? Which team had appear only once in IPL? Which team had never won IPL? Who was the player of the tournament in IPL first season? Sreesanth – Harbhajan Singh altercation happened in which season of IPL? Which country had hosted IPL other than India? Home ground of Royal Challengers Banglore? 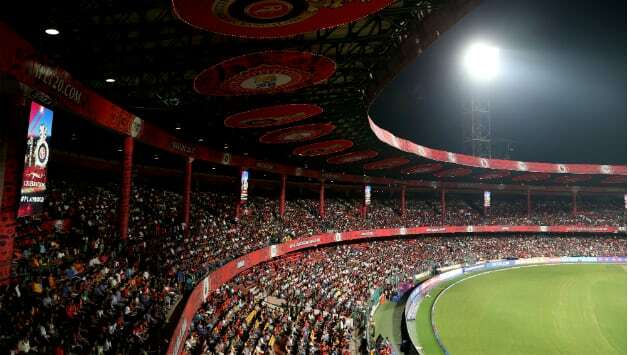 How many stadiums BCCI used for IPL 2018? You have completed the IPL Quiz. Follow SportsWhy for more sports quizzes and cool sports articles. Now you can try this quiz as well: How well do you know about Indian Cricket?